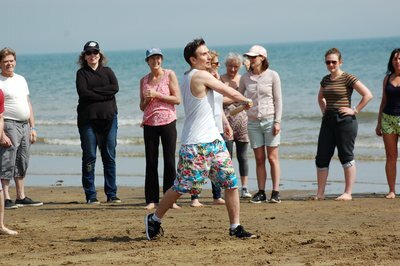 We have last few possibilities still for gender balance bookings or all males. 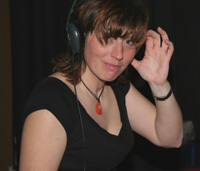 Ladies link yourself with a male when both booking, speak to your friends today. 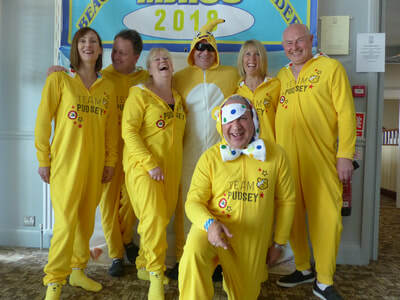 or book your own hotel & ferry and purchase a three day weekender pass. YOU CAN GO TO BEACHROC! 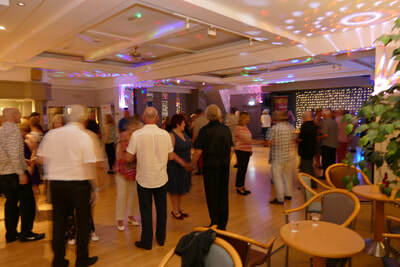 Enjoy the Isle of Wight holiday experience with modern jive dancing. 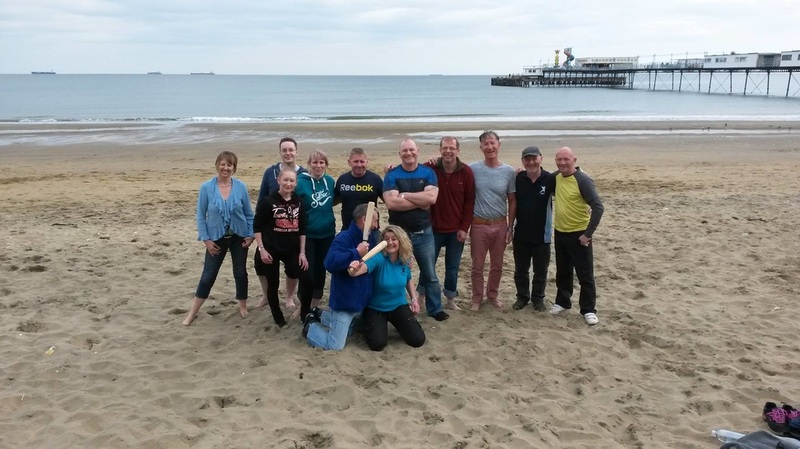 The 5th annual weekender by the beach. 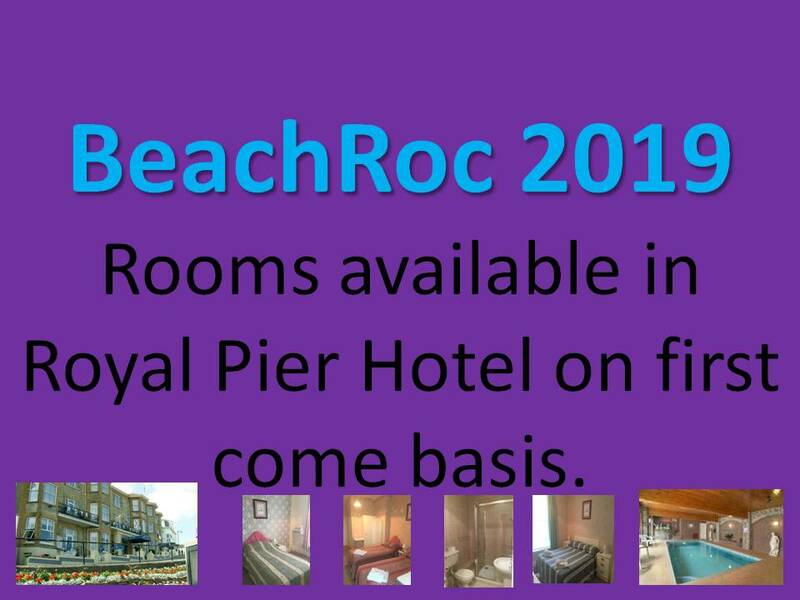 Wow some more options at BeachRoc..
One minute we have sold out all our rooms again, then they get some more returned rooms (from a coach company) at the Royal Pier Hotel and are offered to us. 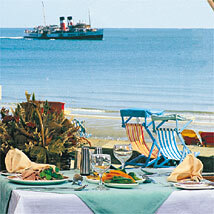 prices from £269pp including half board, ferry travel and BeachRoc dance weekender. 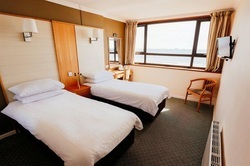 Twin or Double rooms with and without sea view. 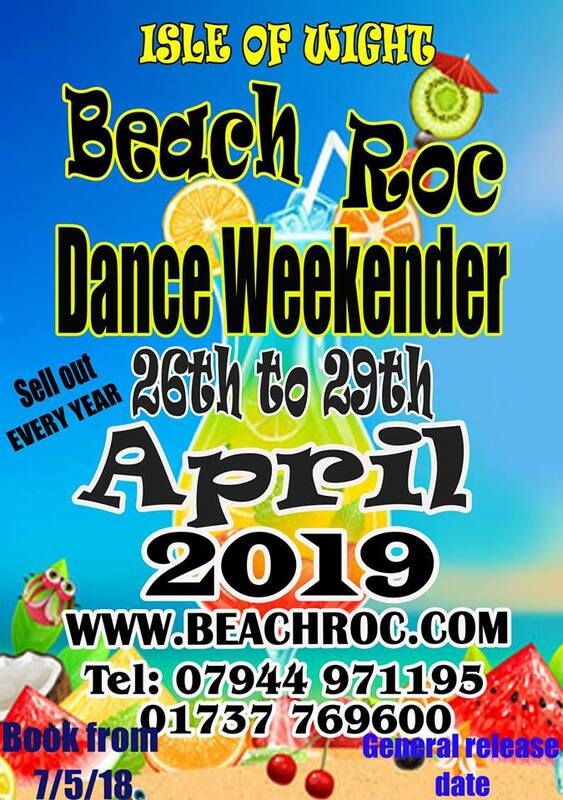 Join us for amazing BeachRoc dance weekender experiences. 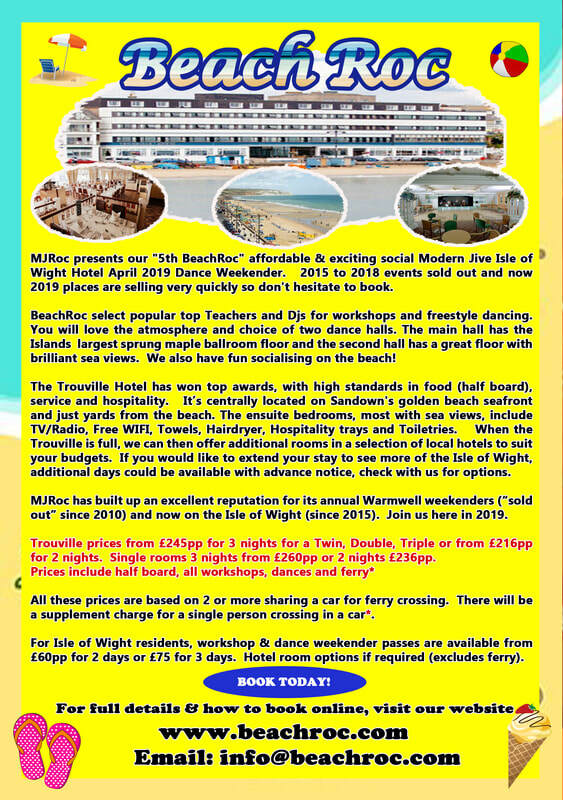 so YOU plan and enjoy a Top dance MJRoc weekender on the Isle of Wight in 2019. 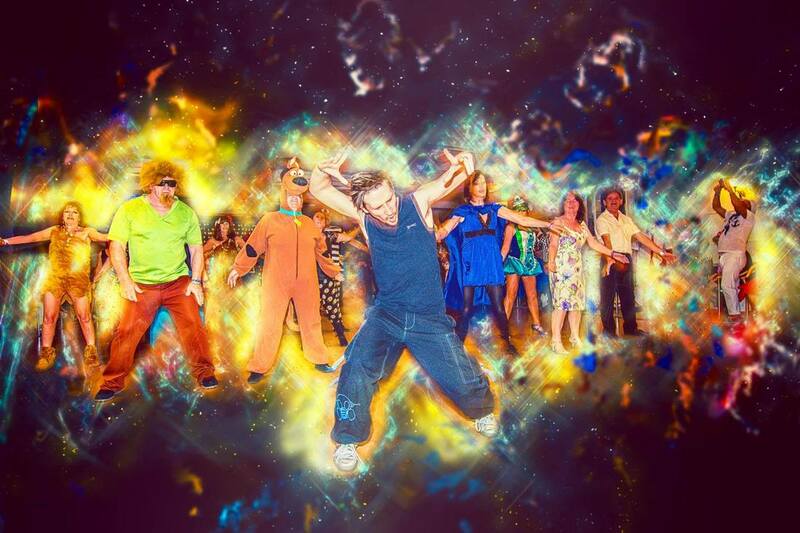 This big favourite dance weekender has sold out now for the last four years. 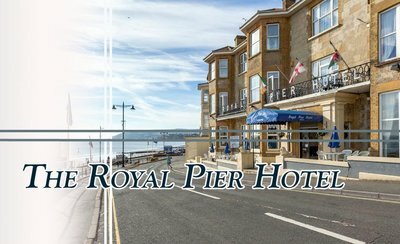 We now have more rooms in the Royal Pier Hotel 100 metres away from Trouville Hotel. 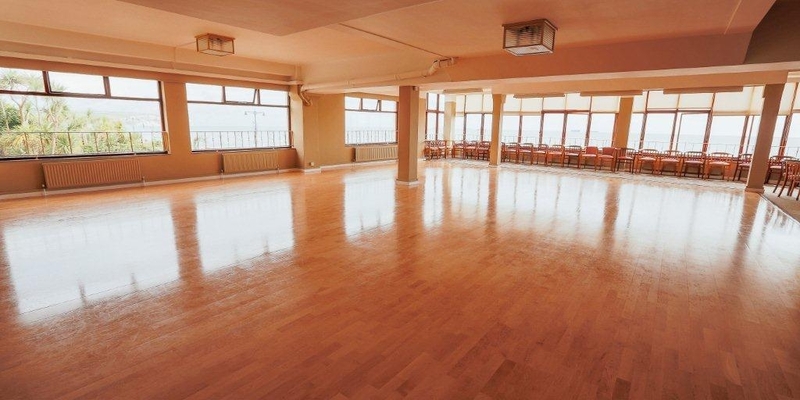 Already all singles, twin & double rooms in the Trouville & Royal Pier are sold. 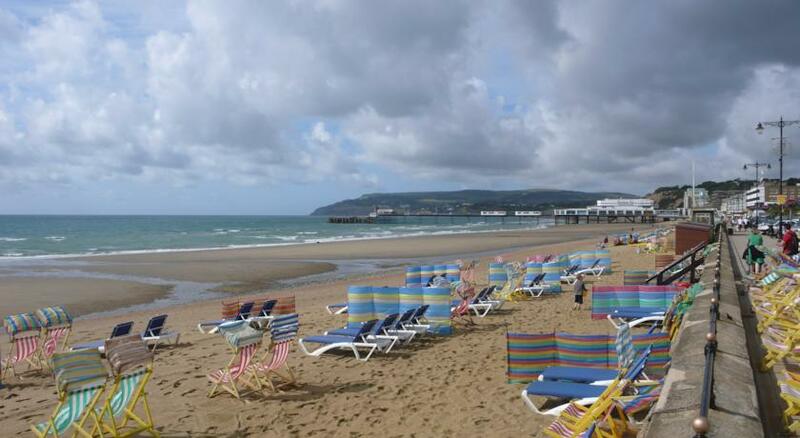 We have always enjoyed Sunshine every and every loves the hotels location by Sandown's beach. 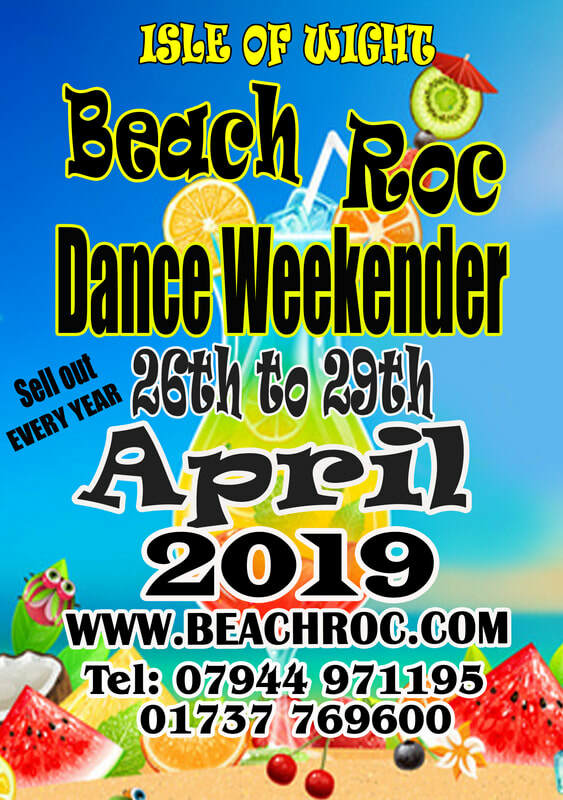 We hope you will book for BeachRoc 2019. 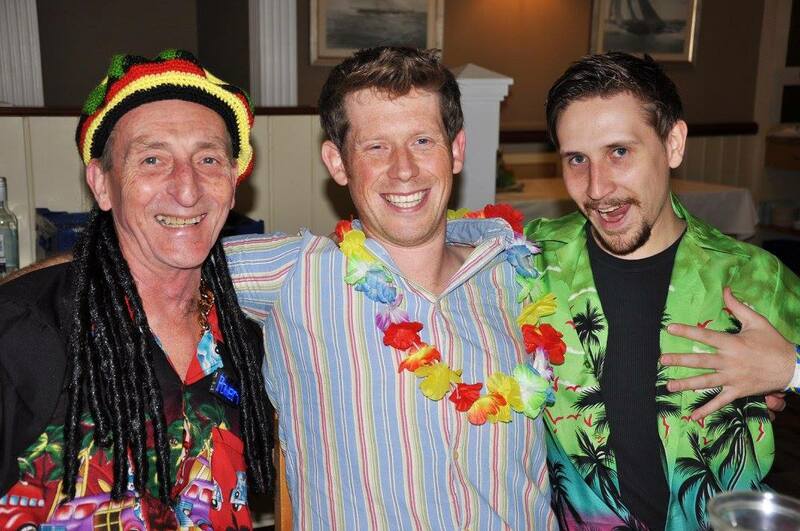 We have an individual approach to the IOW so if you have individual requirements (i.e. different hotel), please chat with us. Bookings will be open to everyone but we need men to be linked to any new booking for females because of gender balance ratios. 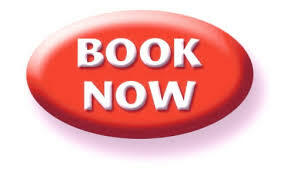 Before you make an actual full booking, you MUST please check availability via email or phone. 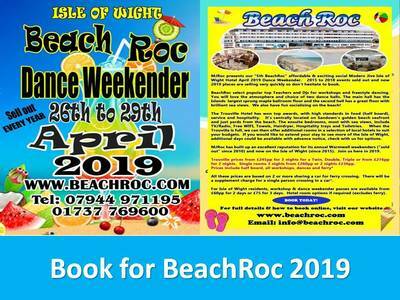 Then once this has been confirmed, you can complete an Online BeachRoc booking form. STATING WHAT YOU WOULD LIKE? 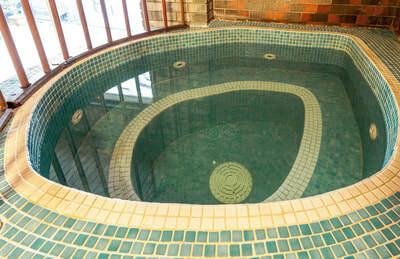 If yours is only an enquiry at this stage, please use this link to enquire or reserve a room. Our Invoice will also show you when the final balance will be due. Enjoy this exciting modern jive weekender right by the beach! 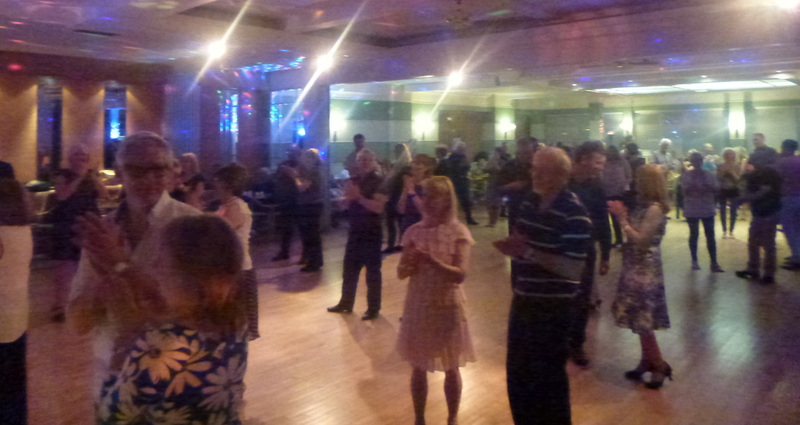 Our fifth annual event, last four sold out! 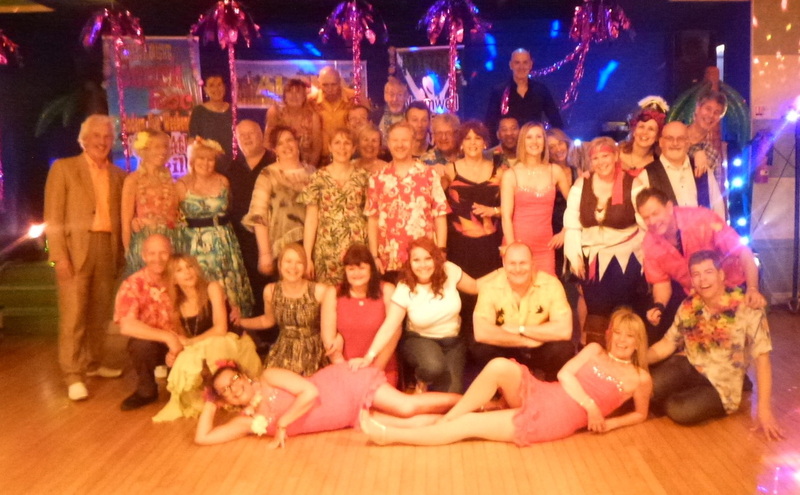 * All ladies singles - you must call first before hoping to be booking on line. We need more men to keep gender balance ratio under control. So female bookings must be linked to new men. 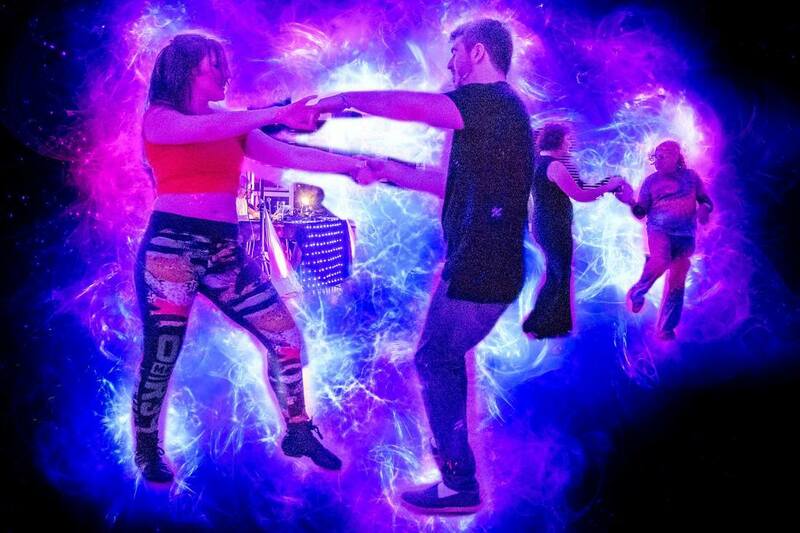 We do not sell any single day or evening passes as create our dance weekends as actual dance weekenders, plus due to the capacity & security of the venue. 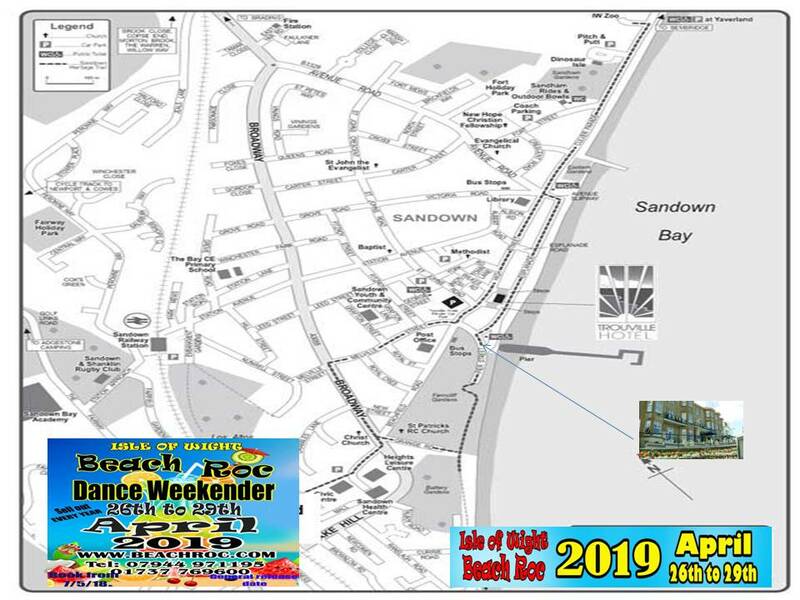 Only those as Isle of Wight Residents can buy two or three day weekender passes, please contact us as these prices do not include ferry crossings. 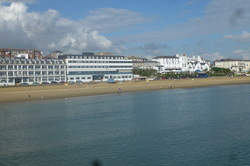 A beautiful Isle of Wight hotel with a seafront location and sweeping views of the Bay. 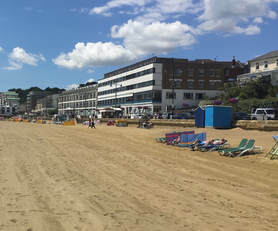 The Trouville Hotel’s 88 well appointed en-suite bedrooms offer the facilities expected by today’s well travelled guest looking for Isle of Wight accommodation. 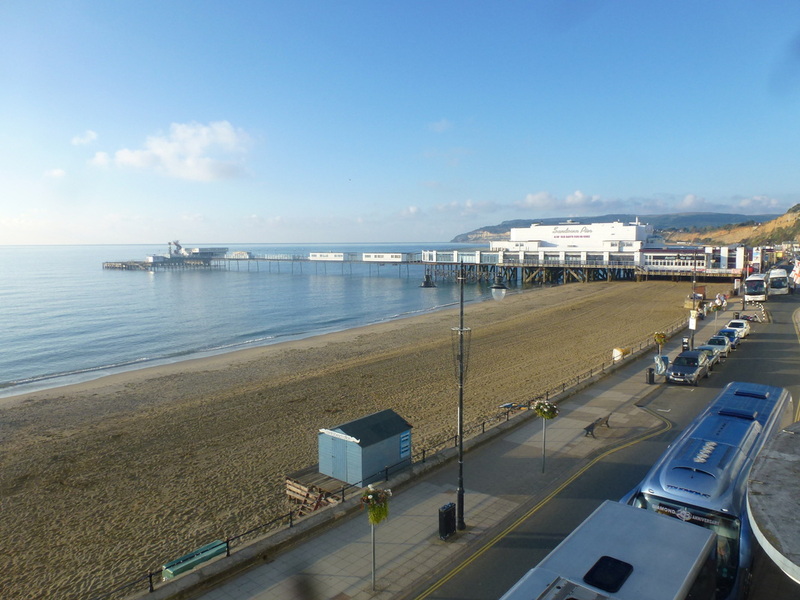 Most have stunning sea views out across the English Channel and all four floors are directly accessed by the lift. 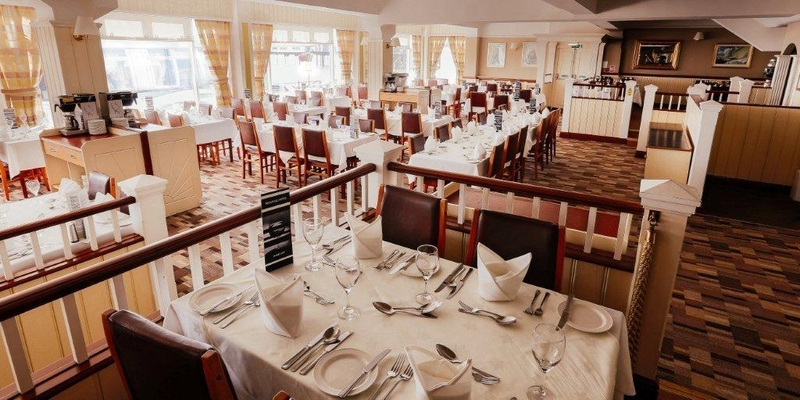 Recent refurbishment to many of the rooms brings in flat panel TV with radio, as well as hair dryer, complimentary hospitality tray, toiletries and direct dial phone. 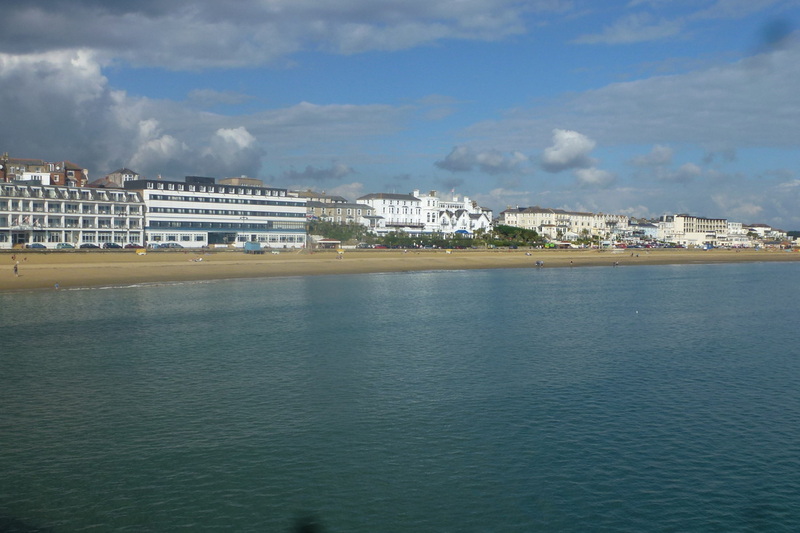 Nothing could be better than drifting off to sleep to the sound of the waves lapping gently against the shore, other than waking up to the glorious sunrise over Sandown Bay; these are the sights and sounds that most of the Trouville’s bedrooms have to offer. 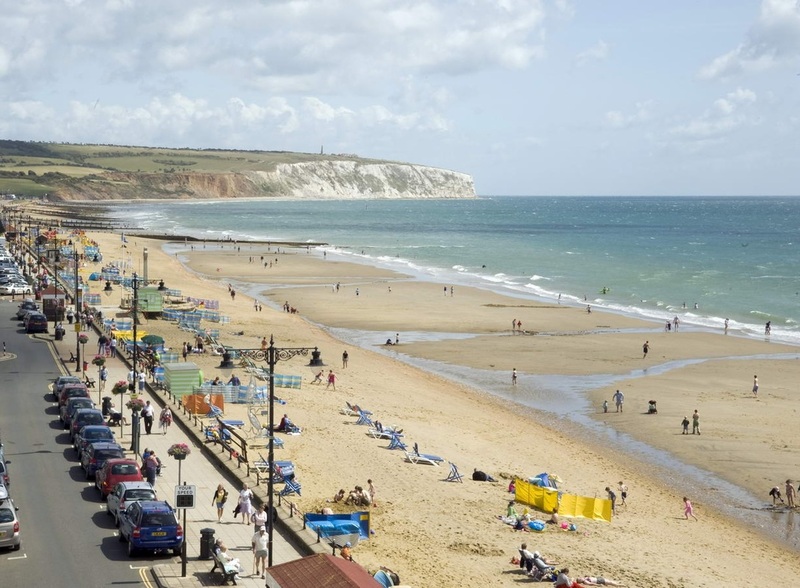 In 2012 the Trouville Hotel was proud to be awarded the Trip Advisor 'Certificate of Excellence' as a result of so many of our customers declaring that our Isle of Wight accommodation is among the best on the Isle of Wight. Our overflow hotel. 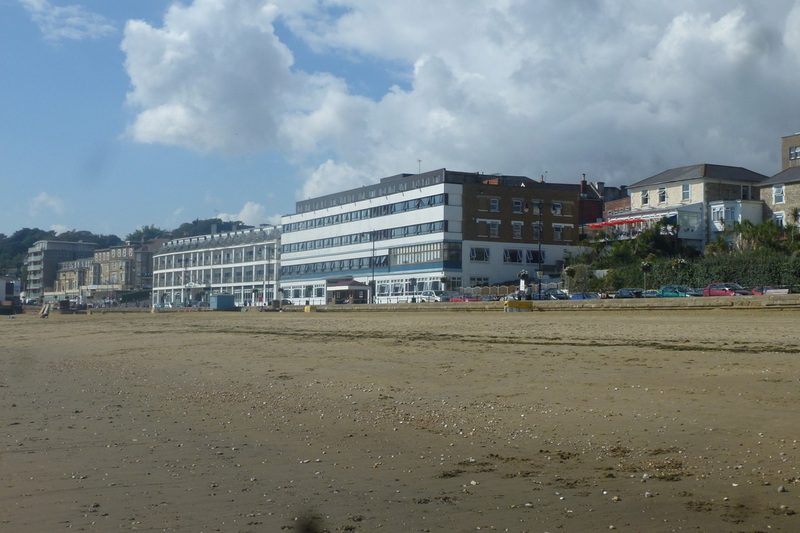 We WILL have extra choices of rooms & options, on a first come basis once Trouville Hotel has sold out. 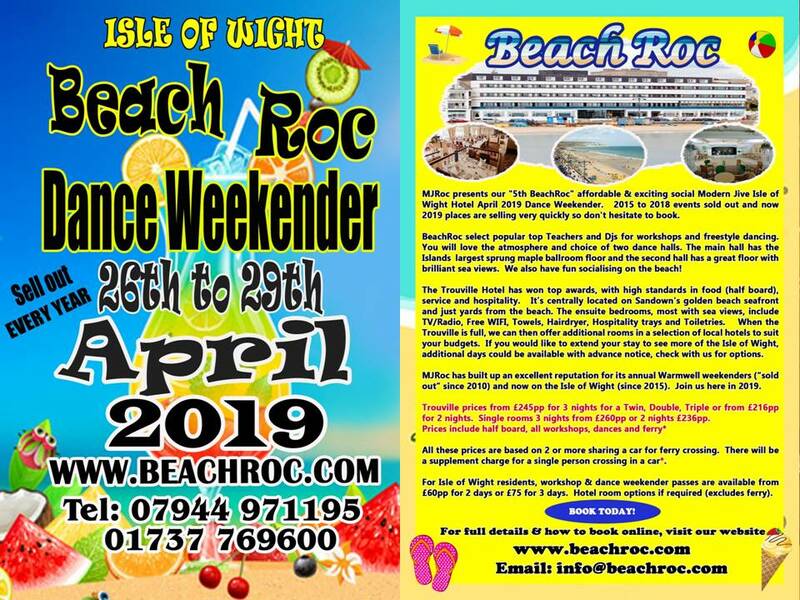 MJRoc presents “BeachRoc”, our fourth annual affordable and exciting Modern Jive Isle of Wight Hotel Dance Weekender April 26-29th 2019, alongside the beach. 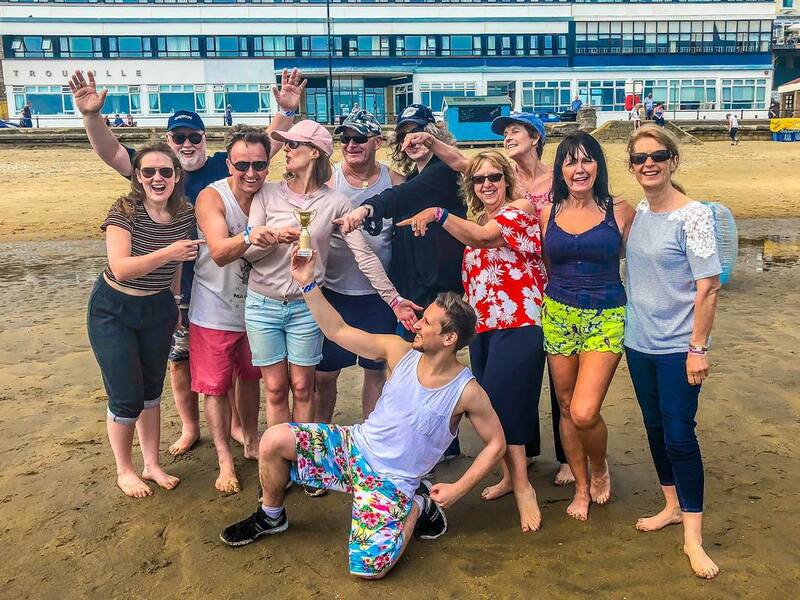 BeachRoc events will be held at the award winning Trouville Hotel, a top Island hotel with high standards in food, service and hospitality; centrally located on Sandown’s golden beach seafront with panoramic views over the Bay. 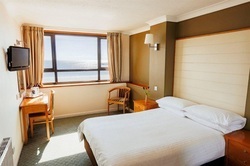 The en-suite bedrooms include TV/Radio, towels, hair dryer, hospitality tray, toiletries and many with stunning sea views. Hotel lift. Free WIFI. 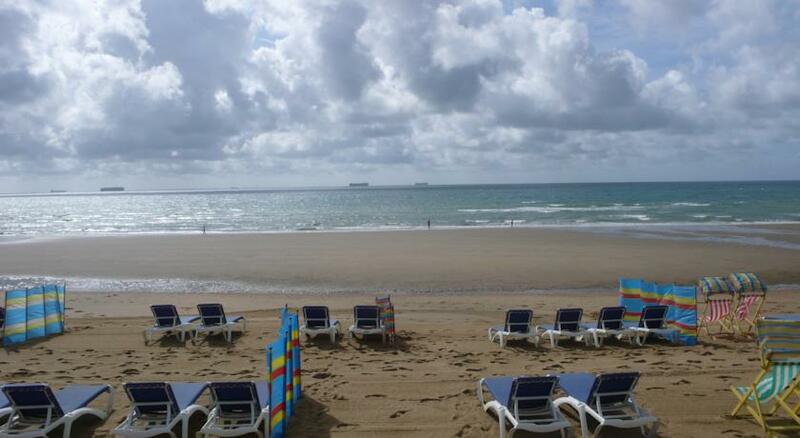 The Hotels Trouville & Ocean are guests will be staying. 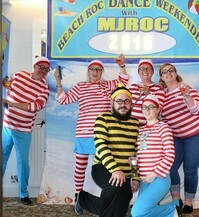 In addition when all rooms have sold out at the Trouville we can then offer options at MJRoc selected hotels (a few minutes walk away) where MJRoc has further bedrooms with breakfast & dinner (or B & B only) with two and three night options. 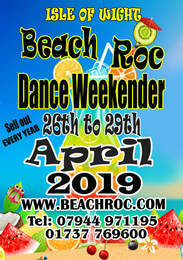 MJRoc has built up a reputation for its annual sold out Warmwell Weekenders, will select top Teachers & DJs for the BeachRoc workshops & freestyle dancing. 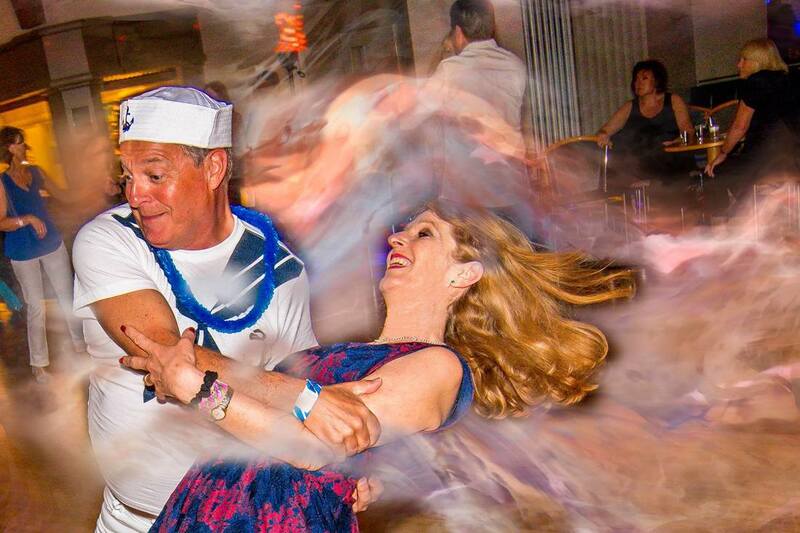 You will love the choice of two dance floors, the Island’s largest hotel (maple sprung) ballroom and the second floor with spectacular Bay views. 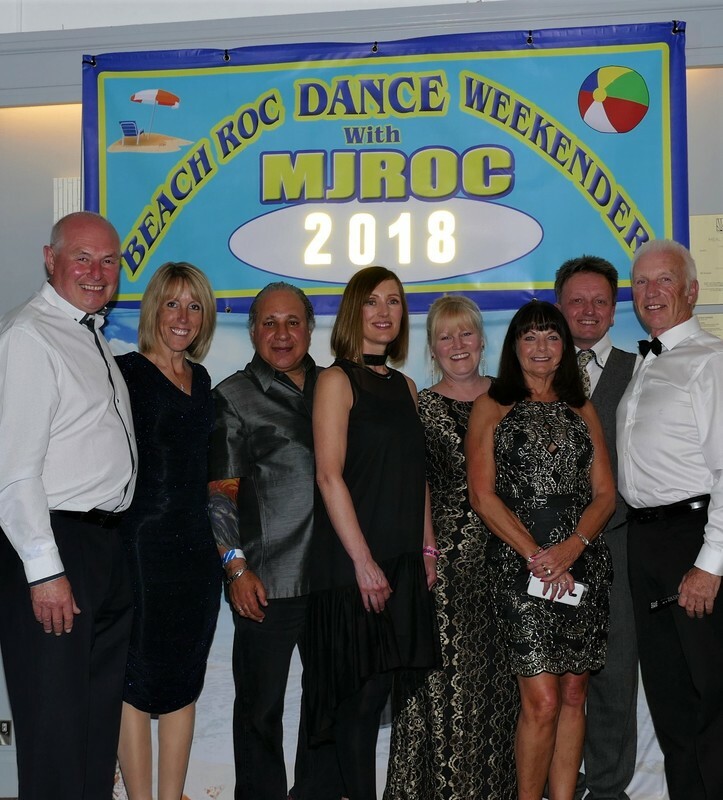 Our Saturday Night Dances are "Dress to Impress"
Our Sunday night Fancy Dress option "Anything Goes"
Those booked will receive by email full details about the weekend with "Our Welcome to BeachRoc Information pack" being sent early April 2018. Two nights (Fri/Sat) limited availability. 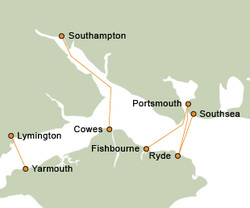 Return car ferry travel (based on two or more people sharing one car) from Lymington, Portsmouth or Southampton crossings. 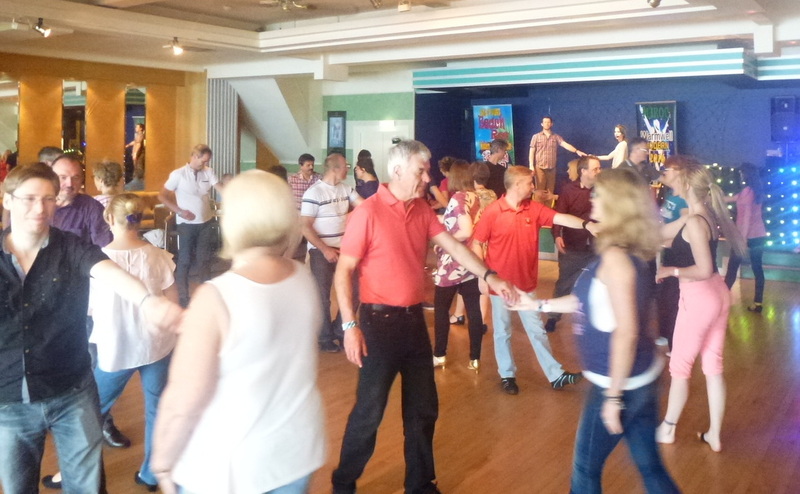 Limited IOW residents “weekender pass” options including all workshops and dances. 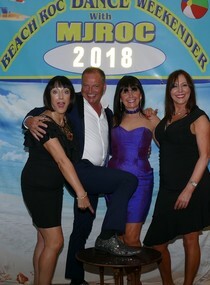 We also have some IOW resident weekender passes to sell mixed gender only, ie one male/one female, two males/one female, two males/two females, three males/one female, three males/two females. Please note if a single lady wishes to book a single room, then they must be linked to a new male single or two male twin room booking. 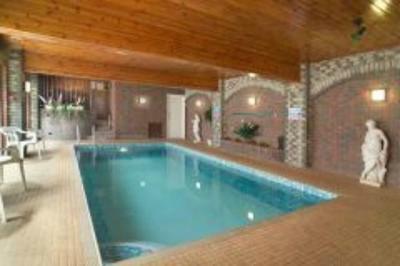 We can then make enquires for this single female at one of our hotels. PLEASE PHONE TO CHECK WHAT IS STILL AVAILABLE FIRST BEFORE MAKING A ON LINE BOOKING. IF YOU ARE SHARING A ROOM WITH ANOTHER BUT REQUIRE SEPARATE INVOICING THEN ADDITIONAL SURCHARGES WILL APPLY FOR THE ADDITIONAL ADMINISTRATION. It maybe possible to add extra nights, this is before and after the event. 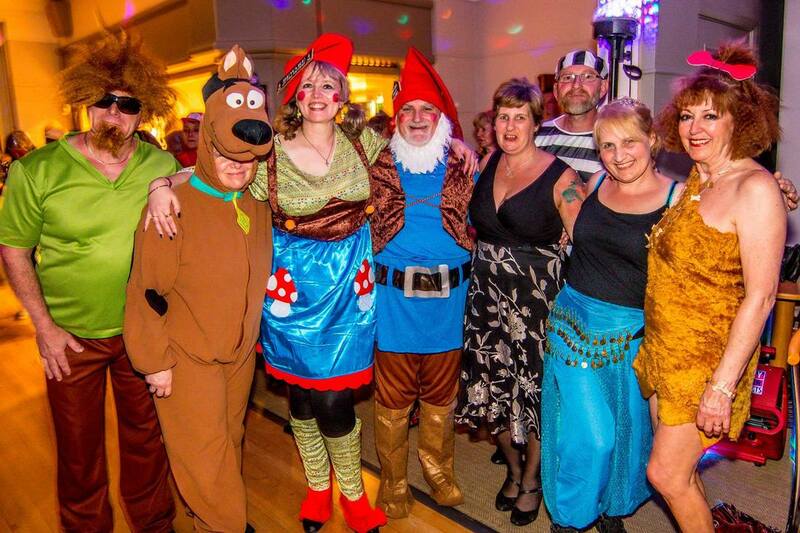 These extra nights would be payable direct to hotel, we would confirm the extra cost to you. It works on the basis of availability. 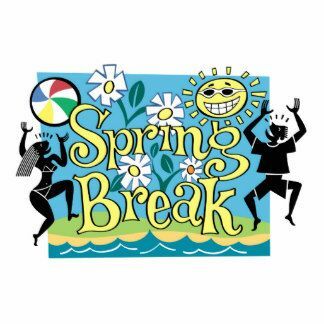 You have your ferry cost included with BeachRoc, so it just a bolt on for a few extra days (max 4 days). How it works with availability. 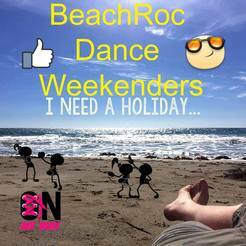 Hotels offer 4 nights and 3 nights packages, we take the 3 nights for our weekender. 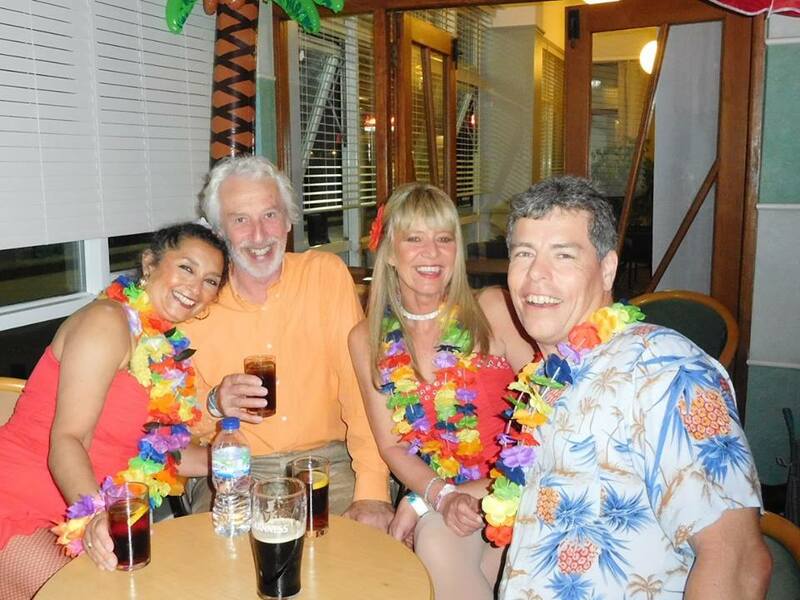 Prior to our event and after our event, the hotel is selling 4 night breaks to people and coach parties, which are very popular at this hotel. If you require either 4 days or 4 days after, we should request this straight away and the chances of immediate confirmation is very good. However if it for less, we still request extra nights for you but it could be from January 2019, our requests are accepted on your behalf. 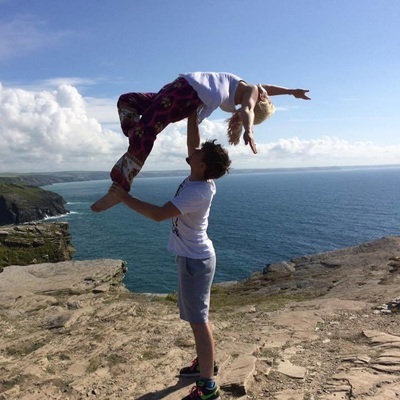 The reason they do not sell the odd night out of 4, which could prevent them selling 4 nights breaks to other (ie leaving rooms empty to accommodate our dancers for their single or two nights), This applies for both before and after. 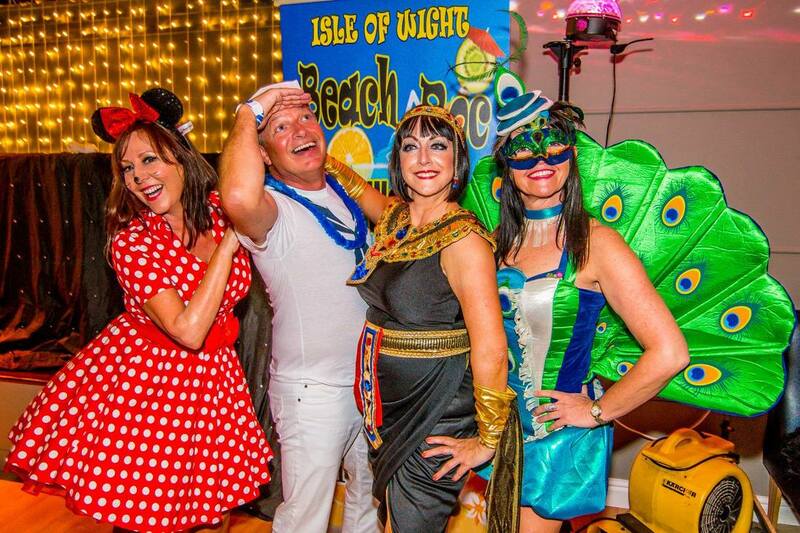 Please note at our 2018 event, all extra nights were accommodated and enjoyed! These were all confirmed from January, so in good times to make your plans. 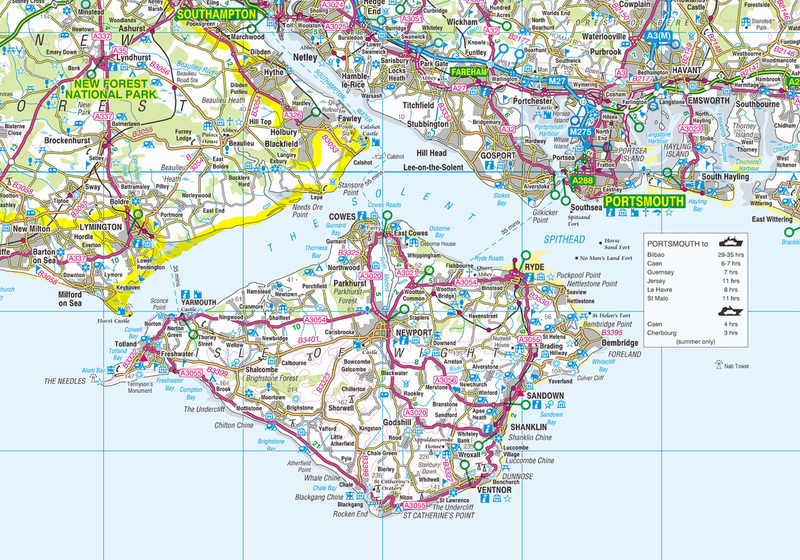 Prices are based on minimum 2 persons in a car for ferry, if you make your own way or are resident on IOW, discounts may apply. 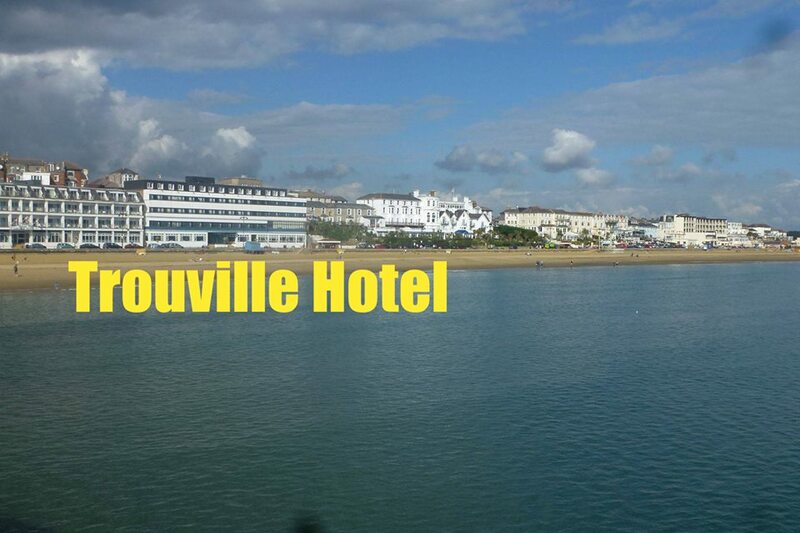 room rates when rooms available when Trouville Hotel has sold out. 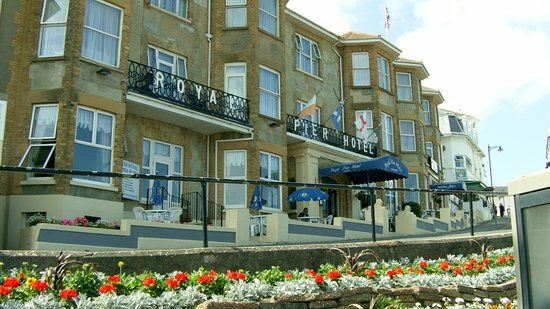 The Royal Pier Hotel, originally built by the Victorians for Princess Beatrice as her summer residence, is ideally positioned on the seafront offering views of one of the finest beaches on the Island and the Pier with its family amenities. 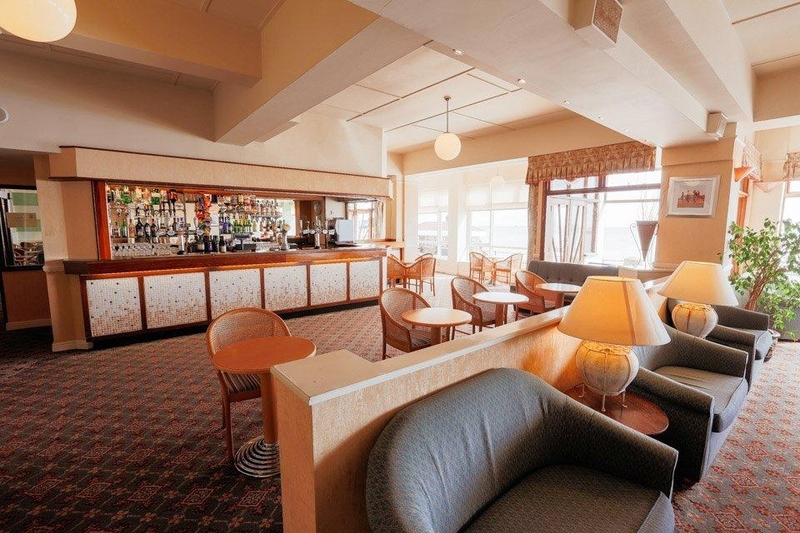 Facilities include an indoor swimming pool and spa-pool, regular entertainment, choice of two bars and a light, spacious dining room overlooking the seafront. 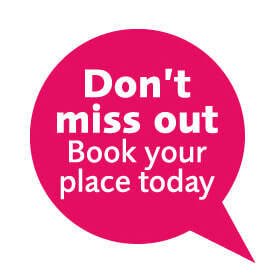 or enquire about options to come via train/ferry/train from your home. If booking from 20/1/19 full payment is due. please take out insurance from an independent source. 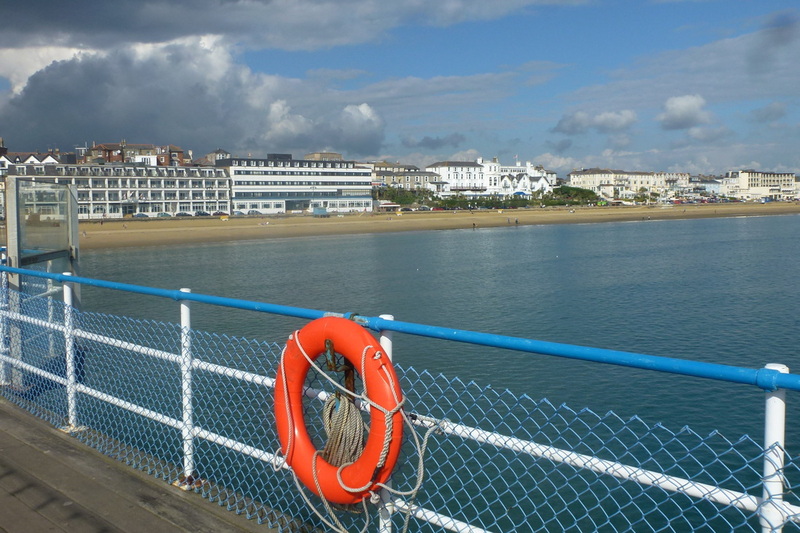 as above less discount £26pp if staying at Trouville only as your rate will exclude ferry (based on 2 person). Does not include ferry crossing, any meals, snacks or drink. No day or evening Passes ARE SOLD.... Only weekender day passes are sold. 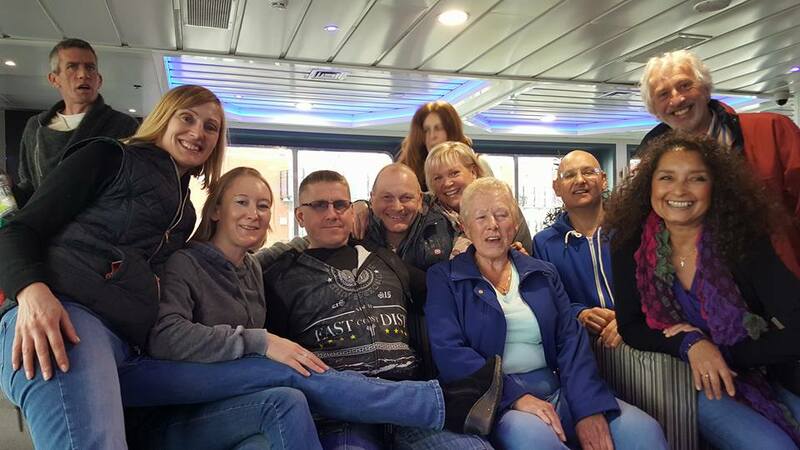 You will be asked for morning/afternoon/evening ferry times on the booking form, however we will attempt to get you the actual time required if you state a specific time. 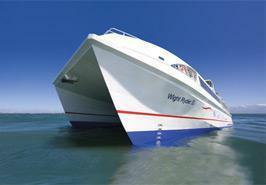 TIPS FOR TIMES SLOTS FERRY COMPANIES MAY ALLOCATE IF NOT SPECIFIC. 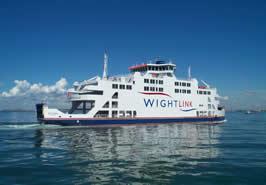 Check the Foot Passenger Catamaran Portsmouth-Ryde crossing only, you need to book this direct and receive a deduction in your package cost. 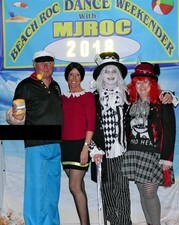 A ma-HOOsive thanks to the guys at MJ Roc for a cracking weekend! 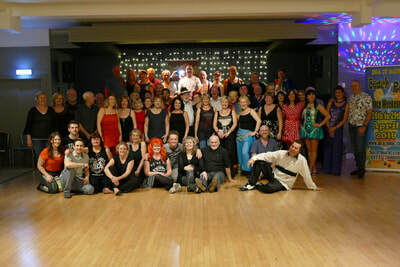 A great vibe in all classes, Sensational street dance cabaret group, top quality beach rounders team, and great dancers and DJs in the evenings. 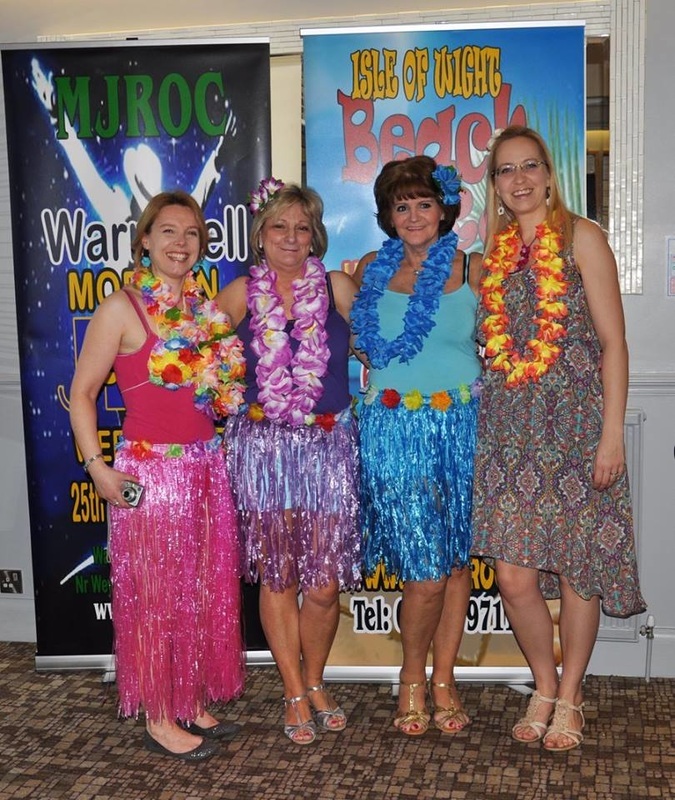 “I was so excited for this again after last year - and for good reason; it was totally AWESOME! Please do not complete a booking form until you have checked availability.